Universal business software for invoicing, quotes or tickets through A4 and POS printers and adoption of RFID (NFC) cards, BAR codes and access control & time and attendance of working time - all in one software package. Simple Shop - simple easy decision..
We have prepared a simple program for easy installation Simple Shop to your computer, which requires no computer knowledge. Quick conquer program that is tailored to all users, and can therefore be described by the simplicity and utility. We have developed the function of the touch screen or TS (Touchscreen) that allows you to quickly and easily work at the cash desk. To your data can be securely accessed from anywhere via a computer or mobile phone. EASILY and WITHOUT additional configuration or programming! We provide a complete and safe control of all your offices from one program from anywhere and anytime. The program is regularly updated with automatic upgrades that include legal revisions, improvements, optimizations and additional functionality. 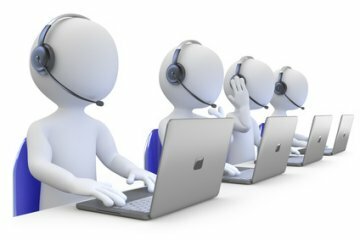 In our support center, we offer 24/7 support (video instructions, the instructions in words and pictures, forum FAQ). To the POS cash register we have again a Web radio without commercials which do not require additional infrastructure. Reports and information calculations allow you a complete overview of your company from a single location. Cash book is a feature that you need to help manage money and control to them. Enter the state at the beginning of the entire situation and inventory at the end, directly to the checkout. From now on simple export accounting data in all major accounting programs and the next time, reduce the monthly costs. Get with the purchase of at least 70% less than the cheapest price competition. A one-time purchase, no hidden fees. You pay, you get forever.